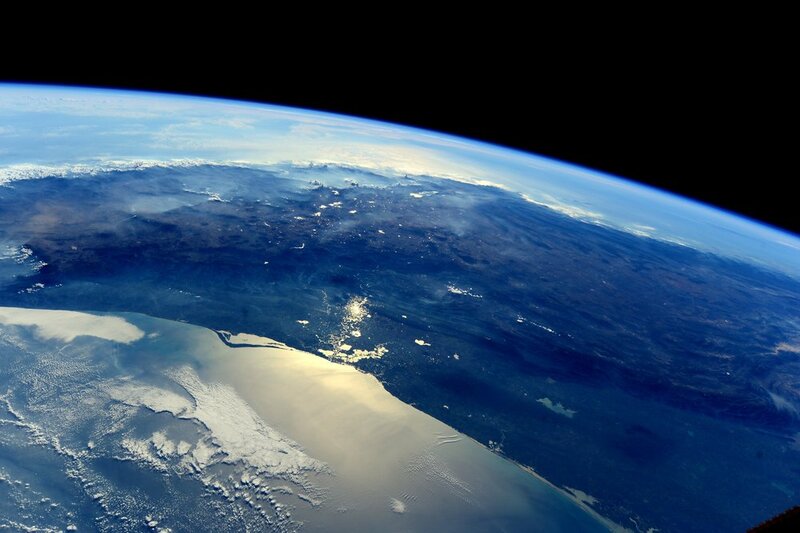 Seeing the Earth from Space is the key to our future. It’s never easy to identify the precise instant where the human story enters a new chapter. When it comes to humanity’s first true grasp of the beauty, fragility and remoteness of our world, however, we know that precise moment. When Apollo 8 came out from behind the moon on its fourth orbit, the crew witnessed something that had never been seen before by human eyes. The moment they scrambled to capture on film is the now iconic photograph known as EARTHRISE. That evening astronauts-Commander Frank Borman, Command Module Pilot Jim Lovell, and Lunar Module Pilot William Anders-held a live broadcast from lunar orbit, in which they revealed this view of our home to humankind for the first time. 20 years after that first EARTHRISE, this profound reaction to viewing Earth from outside its atmosphere is now known as the Overview Effect. This feeling of awe and wonder has, to date, only been experienced by those of us fortunate enough to travel into space. Despite the truth of our world proclaimed by Earthrise, most still live with the idea of separation and divisions. Separation from ourselves, our planet, and each other. We believe that if everyone had the chance to view our planet from the vantage point of orbit, we all would see the world from a different and positive perspective. And that new perspective will give rise to an acknowledgment of our interdependency, with each other & our planet, to profound collaborations between governments, communities, non-profits, corporations, and artists and to a new way of thinking that looks far into the future to the visionary world we all aspire to share. We are at an inflection point in human history. Many possible paths lie before us. We need to nudge our trajectory toward a future where individuals, organizations, and nations set aside differences and work together for the benefit of all of humanity. We see a future where humanity and our economy prosper because all people have the opportunity to reach their full potential. And a future where leaders and decision makers in all areas use the best data available to ensure that the long-term impacts of their decisions keep us on a positive trajectory. We believe in the hope and promise of the first Earthrise. Throughout 2018, the 50th anniversary of Earthrise, our first phase of the effort will launch via an immersive traveling presentation series hosted by universities and conferences, incorporating cutting edge virtual reality experiences, and epic cinematic films. Together we will work to engender a sense of awe and wonder to students, and a worldwide audience. These efforts will also serve as the foundation from which an engaged audience and profound collaborative tools and platforms will be built. 3. Stargaze — stargazing with students and building 'Constellation Chapters' at Universities. This important mission needs your support. The protection of our future home and generations to come needs your support. We all have the ability to co-create a sustainable and awe-inspired future. Constellation will spark this co-creation with help from you and every human that shares this planet who desires this same visionary future. For more information about our programs please contact us at info@constellation.earth.